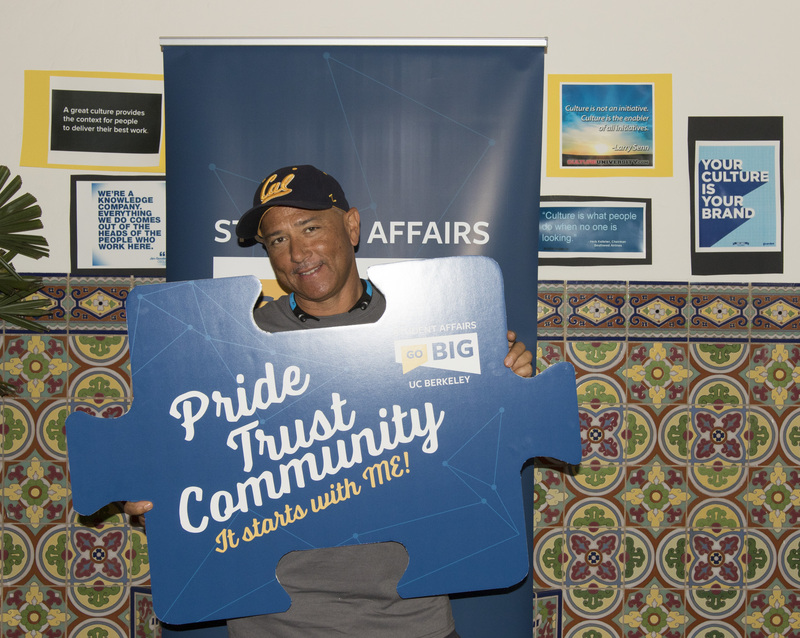 Let’s Continue the Conversation: The Road to Trust, Pride, and Community | UC Berkeley Student Affairs Community Blog! All photos courtesy of Amanda Blauvelt. Culture tunnel. People cheering and high fiving. Lively music in the background. Reflecting mirrors. Selfies and usies. Community passports. The Azaad Bollywood dancers. And 4 MC Hammers to bring the house down! 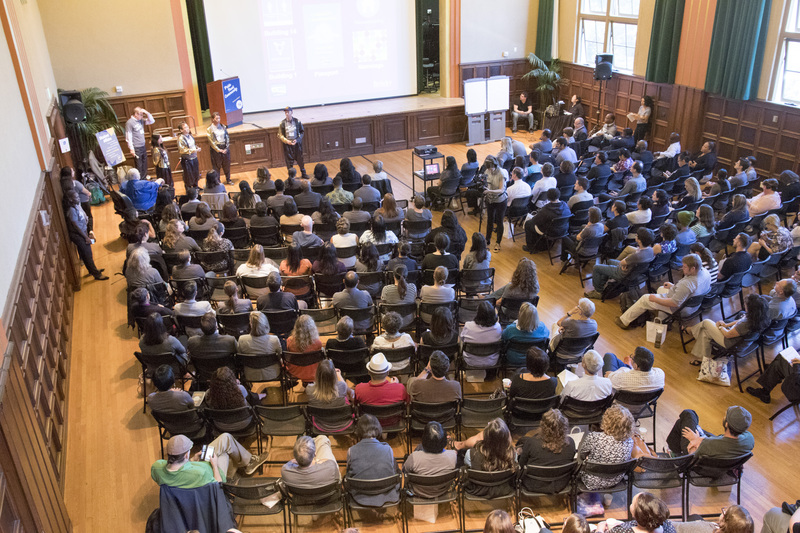 This was all within the first 30 minutes of our Student Affairs Community Conversation 1 (CC1)! 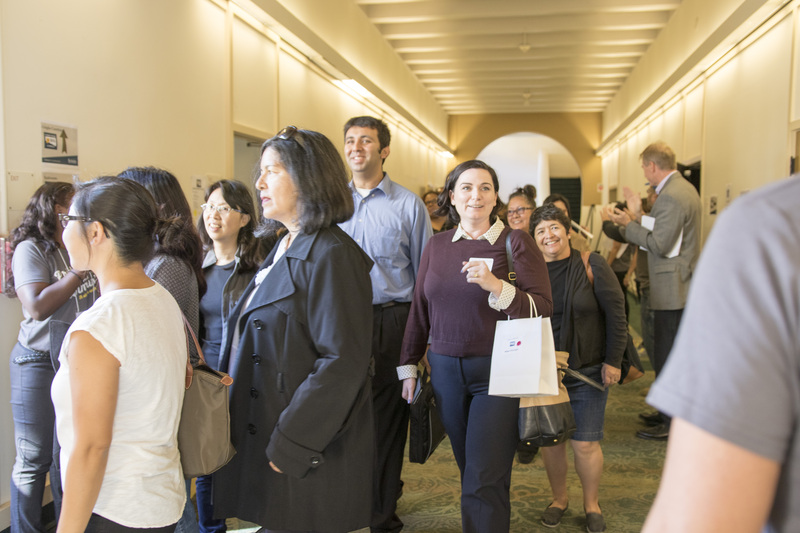 This past Monday, October 5th, 2015, the Clark Kerr Campus buzzed with excitement and anticipation of what awaited. 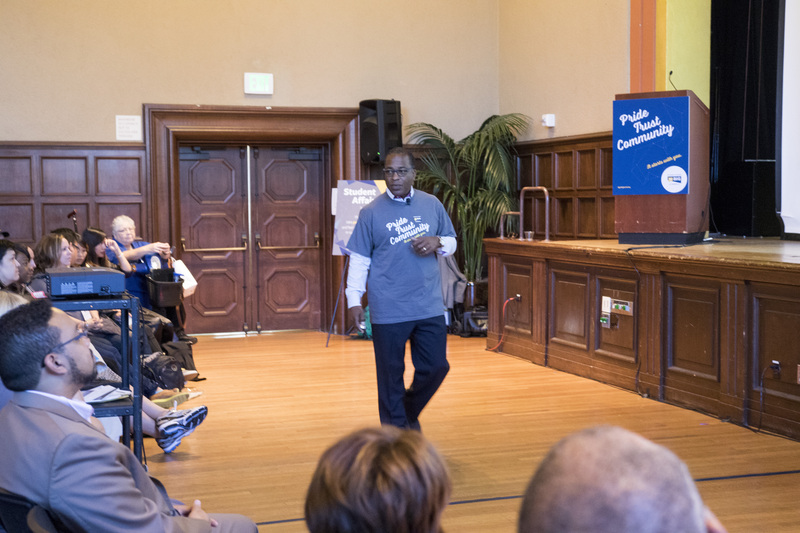 Our CC1 participants listened to an inspirational keynote talk from Great Place to Work CEO Michael Bush. He touched upon the importance of trust, recognition, and building meaningful relationships in the workplace–and that managers and staff want the same exact things. Our next step in the process is a series of 1 hour Walkthrough events. The two Division-wide walkthroughs will be held on November 18th at 10-11 a.m. and 2-3 p.m. in Unit 1 for those who were unable to attend CC1. We will discuss our culture stars in the Division and what behaviors and actions they exhibit to bring these values to life.